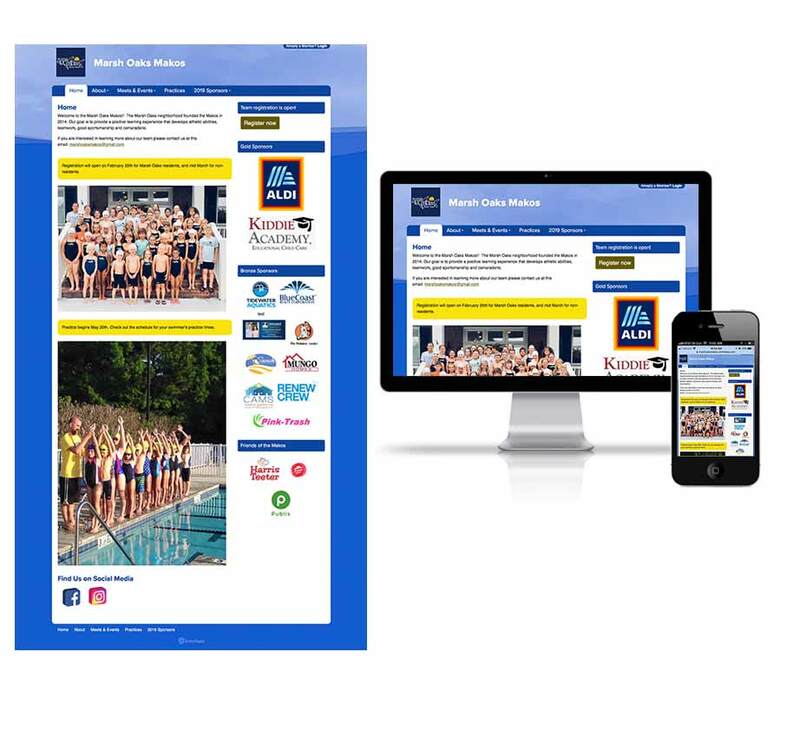 Four12 Design House partnered with the Marsh Oaks Makos Summer Swim Team to get their new site set up and running. The site is built on the Swimtopia CMS which is created specifically for swim teams and includes registration, race tracking, and other valuable tools. This site brought their registration and payment online, streamlining the whole process for the team. Web solutions for the small guys. Whether you are a small business, an individual or a non-profit association we will find the solution and a budget that works for you.